Why are they so afraid to truly hear and see and discern and act in love, as love? It is always the same answer. It is because they are afraid. And it is important when you look at these groups or individuals that you heart listen to this fear. Steve Beckow: Good evening, everyone, and welcome to Hour with an Angel. I’m Steve Beckow, editor in chief of the Golden Age of Gaia, and with me today is Linda Dillon, channel for the Council of Love, author of New You, The Great Awakening, The Jesus Book, and soon to be course leader of Consciously Creating with the Divine Mother. Linda Dillon: Hi. As I was saying to you before we came on the air, I was laughing because I was thinking, maybe I get to sleep in May. Because this class which starts on February 24, runs to, I think, May 2nd. Umm, after that I’ll be able to sleep. How these classes evolved, for people who have taken a Council of Love class before, is that the overlight, or the being who’s basically giving the class, always comes to me in the wee small hours of the morning when it’s nice and quiet, and walks me through the class. And so, this one is being taught, literally taught, and certainly all the material is being selected and gathered, directed by the Divine Mother. It has been incredibly intense. So, during my waking hours and during what many people think of as your sleeping hours, I have been really busy. And then of course once the class gets going and we’re all working on our three creations, I know it’s going to be really busy and intense. So how is it going? It’s going swimmingly, famously, but boy is it busy. SB: Ummm, yes. And I might remind our listeners that the course begins the moment you register. LD: Yes, it does. Actually, it probably begins the moment you start to think about registering. SB: That’s right, that’s great. LD: The good news is, is that this isn’t particularly a class about clearing. You know, it’s not a class like The Core Issues Class, for example, where there really is a deep profound, clearing and shift. This is about taking the next steps, and stepping forward as our ascended selves, as the beings in this process of expansion, and really beginning to create Nova Earth. And how we do that, of course, is getting the practical to, directly from the horse’s mouth as it was. Although, I feel sacrilegious saying that the Mother’s mouth is the horse’s mouth. But it’s getting our “how to” so that we can begin to create. So, in this class what we’re going to do is bring the Creation Formula and the Universal Laws, marry them together, and then basically create something for our sweet selves, actually a couple of things for our sweet selves, and then also work on a global or universal issue. So, it’s going to be a heck of a lot of fun. LD: Exactly. And The Mother has been, she’s been very emphatic, it’s like, okay, we have, and you know Steve, because you’ve been developing the e-book on the Universal Laws, which we’ll be using in the class. The Universal Laws aren’t intended to just be a book on the shelf. This is our tool kit, and so it’s going to be not just a primer on Universal Laws, but how do we take those laws and actually apply them so that we get some tangible results. So, it’s really learning how to use that you know, that hammer and saw and, I don’t know, drill. SB: How many seats in the course, Linda? LD: It’s not limited. It’s whoever shows up is going to be welcome. Now, that’s unlike other classes because when we’re doing the deeper processing, there’s really a limited number of students, as the facilitator and as you know we always have moderators for the classes as well, that we can handle. But what Mother Mary is saying is that, as we are coming together as a circle, what’s happening is that that combustion factor, that support factor: that you know that I get excited about what you’re creating and you get excited about what I’m creating, and we’re both working on universal issues that there’s a catapult trigger effect. So, it’s open. SB: Very good. Well, why don’t I let you make your transition, I’ll just talk to the listeners for a minute about who the Divine Mother is. SB: How would that be? Okay. So, we’re not getting a course from an ascended master. We’re not getting a course from somebody, somebody might think of as a God, or a personage, etc. The Divine Mother is the one assumes an aspect or a face when creating this illusory world. It turns out, well, of course it turns out to not be absolutely true. Only God is true, and we turn out to be God. The Mother is God’s creative aspects. When God wants to create a world, not a world, the world, He assumes the aspects; He’s usually still. He moves on the waters as the Bible said. And waters, of course, are the vibrations. He moves as the Mother and creates all worlds, etc. So, we are getting a course from the creator, preserver, and transformer of worlds and that is a huge privilege. So, I just have to say that. This is, for me anyway, not an ordinary occasion. We’re getting it directly from Source. And with that I would like to welcome Archangel Michael. Archangel Michael: And welcome to you. Welcome to all of you, my beloveds, lightworkers, lovebearers. I welcome the disinterested, the recalcitrant, the resistant. I welcome all of you. And I do so as archangel of peace, warrior of love, bringer of news. I embrace your divinity, and I embrace your personage. I embrace the being that you are. And what I bring you in this conversation is a deeper awakening of the peace and the truth of who you are. You who are lightworkers and love bearers, you have been diligent, consistent, humble and true. In your seeking of your divinity and the truth, of your mission and purpose, your hearts’ desires, and how you wish to manifest upon this planet, this beautiful Gaia during this time of great awakening, during this time of shift, during this time of ascension. 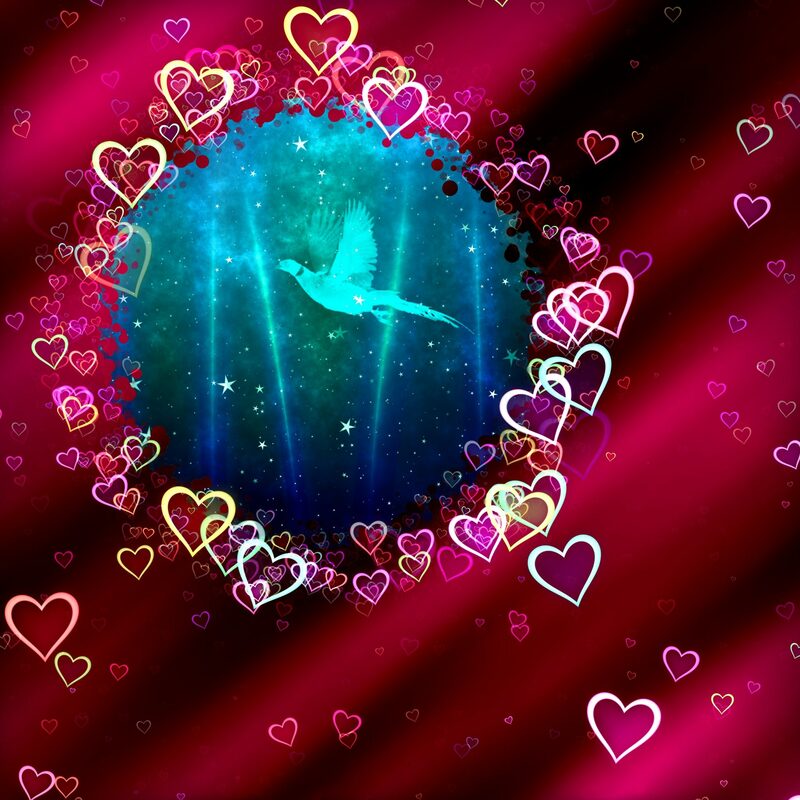 As you are fully aware, the human collective made this choice – this wise, mature, spiritually evolved decision to go forth together, in the unity of heart. And that was and is miraculous. And yet there are still those who stand back. And I know your hearts often say to me, to the Mother, to all the realms, “ Not only am I tired, Mikael, I am anxious, and I am excited to anchor, embrace and get going with the new,” which is the original, the original unfoldment of our Mother’s plan. And you are welcoming. I do not wish or won’t imply that you are not welcoming to all. The door is open, the portal is open, and you are standing there. But you are excited and anxious to be completely through the portal, and not simply be the gatekeeper. You are embracing the new beginning, and that is exactly as it should be. So, what do you do, other than sending love, other than practicing deep tolerance for those that you feel, see, witness, are holding back the complete fulfillment of the plan? Especially, because you are wise, and in that wisdom, you know that you cannot override, nor would you wish to, another’s free-will choice. That the decision to move into the love, to recognize that you are love, by its very nature, has to be a personal decision. And it cannot be an overlay. Now it is difficult, when in fact, challenging, yes, when you are looking at those that shall we say perhaps are dragging their feet. No, that is not a criticism. It is an expression of how many of you feel. How do you engage? Either one-on-one, group to group, within a unified field, a unified grid. How do you embrace, work with, role model, with those who perhaps are saying, “No”? What is it, either individually or collectively, that shifts that energy? Well, of course, it is not a singular answer. But one of the things, and we will get to it, that I wish to talk about this night is also about peace and deep peace. Yes, another expression of love, but my personal mission, my service to our Mother. And let me say that when one is in denial, when one is recalcitrant, or resistant, or disinterested, and let me also reassure you that those numbers are dwindling by the millions very rapidly. But when you are engaging with those beings, what is the approach? Of course, as a lightworker, lovebearer, as your transmitter, anchor, transmuter self, you are sending the love. You are sending the peace. But what about your everyday interactions? When you are gritting your teeth, or holding your tongue? Or practicing deep tolerance? Our beloved Mother has been speaking to you and remembering, and helping you remember, I should say, both heart listening and heart speaking. And this is the way you approach those who really don’t want to engage with you, not at the level, and not with the transformative effect that you are interested in. So what you are doing with an individual or a group, is you are truly practicing heart listening. So often you think of, and correctly by the way, you think of heart listening is when your guardian angels, your guides, we, the Council of Love, the Company of Heaven, the ascended masters, speak to you. And you hear this, truly, in your heart. You may hear the words, you may see the pictures, you may perceive it as intuition. But truly, you are hearing and listening, truly listening with your heart. We are asking you – yes, it is an assignment -we are asking you to truly listen with your heart to these groups of people who are resistant, who are resistant or recalcitrant and so on. Now what do I mean by that? The reason that people are resistant or even recalcitrant or bored or disinterested, is primarily fear. You say, “Well no, Mi-ka-el, it is the ego run amuck.” And what I would say to you is why has the ego gained ascendancy? Why are they so afraid to truly hear and see and discern and act in love, as love? It is always the same answer. It is because they are afraid. When you peel everything away, all the defenses, the false grids, the paradigms that they have built up, and that have been reinforced for a very long time by collective. But that is gone. So, they are even in a greater danger zone because the false grids have dissolved so that reinforcement that they had felt from the collective, from the very air they breathe is gone. So, does that make them less afraid? No. It makes them more afraid. For many, it makes them more reluctant, more resistant, more saying, “No, thank you, I gave elsewhere, I am giving elsewhere.” They’re afraid, my beloveds that they are not love. That if they surrender to the divine, to their sacred selves, they’re afraid. What if they decide to proceed bravely and they find out or discover that they are not love? That they are not loved? That God has no time for them? That the Mother has disowned them? That there is truly nothingness? So, consciously, and unconsciously they simply continue on their path. Now they may make declarations: “I am honorable. I am kind. I am generous. I am love.” But in the witnessing, the observation, the discernment of their actions, of their words, of their attitudes you can see, discern, whether or not it is of love. And it is important when you look at these groups or individuals that you heart listen to this fear. If your three-year-old, your child, your niece, your nephew, the boy down the street came to you and said, “I am afraid, I am afraid, I am afraid of the dark, I am afraid of my father, I’m afraid of the monster in the cupboard,” what would you do? Of course, you would embrace them, because you are lightworker, and a lovebearer. You wouldn’t say, “Grow up – there’s no such thing as monsters”. You wouldn’t say, “Stop bothering me”. You would gently bring them into your arms and reassure them, and turn on the light. And you would say, “I will talk to your father about this”. And so it is. You heart-speak to these frightened souls. To these ones that have built up anger and arrogance. And you embrace them. No, not literally, because most of them do not want to be physically embraced, or not genuinely embraced. But you embrace them. And in the heart speaking, again, that the Mother is teaching, you reassure them of their worth, of their deservingness. You reassure them of their true essence. You act as the mirror, that they can truly begin to see themselves. Yes, with your reassurance, and the reassurance not only that they are loved and accepted and worthy in the eyes of the Mother-Father-One, but that they are loved and respected and honored for their divine self, for their divine essence, by you. Don’t even say by the collective. Declare your willingness, literally or etherically, so that they feel that safe and secure essence to proceed. Because there is not one being upon the planet at this time that did not intend to be part of this ascension. So, what you are doing, no it is not just the last-ditch offer, but it is close to that. You are saying, “It is okay. You are sane, you are safe, you are worthy, and you can come with us.” Because there will come a point in this process that we have been talking about with you for years, when there will simply be a personal decision point on the part of these groups that we discussed today. That they will either return home to the Mother for reintegration, re-education, deeper karmic resolution, or they will stay. But in order to stay and be part of Nova Earth they have need to embrace that truth of love, because that is what Nova Earth and Nova Being are essentially about. It cannot exist as the true new paradigm, the new reality, the new realm of existence, the new beginning is fully anchored. Because they can’t operate from a place of hatred or greed or arrogance, of violence or control. Vibrationally, frequency, they cannot live in that frequency; it would destroy them. And that is the choice point. They can’t fully go through the portal because they’d dissolve. And what we mean by dissolve, is they simply return home. That is not a punishment. That is simply the unfoldment of the plan. They’re not being reassigned to an alternate planet. The act of kindness is to come home. And to see where things went awry. To begin again. Not to just continue on in an alternate reality ad nauseam. That is not the plan. Now my piece, my piece of the new existence, the new beginning, Nova Earth. My piece is peace. I am overjoyed. And yes, this is in alignment with the laws, the Universal Law, finally. As above, so below. As within, so without. That is how it works in your alignment with your divinity and The Divinity. With our Mother’s divinity. What you are doing is anchoring that deep sense of peace. And when that is done what you are doing, because it is now below and within, then you are expressing it in the external world, in the without. And so, peace comes to reign. And you share this not only on your planet, but far beyond. I have often said to you, and it matters not whether you are magenta or pink, gold or silver. I claim you also as my legion of blue with swords and shields to anchor the peace. And I give you this gift, this essence of my peace. It is time, my beloveds. SB: Thank you, Lord. Excuse me. I think before beginning, a question I’d like you to, if you would clarify what you mean by returning home? I’ll just mention one or two meanings that come to me. Often, I would think of that as returning to your essential elements so to speak. I mean you lose your personality, you’ve come again, some basic element, and you start again on your evolutionary journey. So, that’s one possible meaning. Another is that at the other end of the journey, that you’ll spend some time with Source and you emerge. So, what do you mean by returning home? AAM: What I mean by returning home is leaving the physical body behind – what you term death. But you also know that that is all that you are shedding, is the physical form. That you are basically declaring, that you are not interested, or too tired, or not up to the current mission. And in that you choose, either passively, or actively, to abandon the physical form and then to return, basically, to an elemental form, where you will process what has occurred during your lifetime. And then decide how, in accordance with great consultation, you will determine how to proceed or if to proceed into another form again. For a very small minority, there will be full reintegration back to Source. So, it is a little bit of a combination of the both, but the minority will be the full integration. SB:	The minority will be the full integration. SB: Oh, Okay. Okay. Got it. AAM: It will be a very small number because, for most of them, of this group that we are talking about, as soon as they arrive, can we say on this side, there will be, of course, a great welcome, a warm welcome. All are welcomed back home. But in that moment of return, there is also this awareness that explodes, of whether you have done what you wanted to do, what you planned to do. What you offered the Mother. Or not. When there is this explosive awareness of, “Oh my goodness, I didn’t get to do what I wanted to do. I didn’t do it”. There is… the way you can think of it, being in human form, there would be a great awareness and an emotion of despair, disappointment. Now out of form, those feelings are not the same. But there is still this sense of, “Oh, no”. And the healing process in that begins, because you also get to review all the things you did right. All the things that gave you joy. And yes, there is the review of what went awry. Now what happens in that process is the decision, or the consultation. But by and large what happens when something has truly gone either slightly awry or significantly awry, there is a desire to come back and correct. That is not the terminology we would use, that is often the terminology that one in this process says, “Oh, I want to try again. I want to be of perfect service to the Mother, so let me be reassigned”. Is this clear? SB: Everything is clear except at one point you said, “in your more elemental form”, and I don’t know what that referred to. But everything else was clear. AAM: It is in your energetic form, when you are basically an energy field. So, we are not talking about you suddenly becoming a rock, or a mountain, or a fairy. It is simply your essential energetic form. SB: And does it correspond to any names we know like astral form, or etheric, or causal or anything like that? AAM: No, just see it as your essential energetic form. SB: Okay. Thank you very much for that. Often I don’t ask you these questions and then I don’t have a clue myself afterward, so thank you. SB: When you were describing the recalcitrant individual, you were describing me. As a matter of fact, I find it… We’re doing three weeks of forgiveness on the blog under Kathleen’s direction, and she’s doing most of the work. And when I look at forgiveness, I’m really stuck on some people. I’m telling you, I’m really behind the eight-ball. And in being stuck I am recalcitrant, right? AAM: And I thank you for your humility and your bravery at this self-declaration, because it is an important step for lightworkers and lovebearers. Let me explain. You are recalcitrant, my friend. So what you have done, my beloved friend, has brought this front and center. So what you are saying to your community is are there traces of this stubborn recalcitrance in you? And that is spiritually mature. That is you acting and bringing to the forefront your Nova Being because you are saying, “Wait a minute, this doesn’t feel like love. I am having trouble forgiving x, y, z.” And that is the starting point. That is you heart listening. That is you listening not only to your beloved twin, or guides, or me, saying, “you are recalcitrant, bad boy”. This is your universal higher self also saying, and your human self. This is the unity of your new grid saying, “I have a problem here”. And in that what do you do? Well, first of all, you are reassuring yourself of your divinity. That in fact you are love. So how can love operate, let alone exist? How does love express and operate when they come up against such recalcitrance? Well, what you are doing first and foremost is you are moving into forgiveness. Now, where does this forgiveness begin? It begins with your sweet, beloved, sacred self. “I forgive myself for being recalcitrant. I forgive myself for having this stumbling block.” So, think back to what I have just said to you: above and below, and then within and without. So, you must have and truly feel the depth of forgiveness within your being, within your selves, before you can forgive externally. So, let me explain further. What you are doing is you are taking the Mothers and the Fathers essence of forgiveness. One of their divine expressions, and bringing it down. And anchoring that forgiveness, that sense of deep compassion and awareness of gentleness, kindness. Forgiveness is never permission other than permission to surrender. So, you are anchoring that. And in anchoring that you are beginning to feel and to know and experience the forgiveness of your sacred self. Your inclination may be, “I forgive myself for not being perfect”, but that would be erroneous. What you are forgiving is you’re not expressing and experiencing yourself as divine perfection, of allowing yourself that scenic detour to be less than. And you look at that, and you let it go. You forgive it. Forgiveness has the ability of elimination: more organic change, the dissolving of what may have felt like a huge boulder which you have experienced and allowing it to dissolve. Then you take that, and in that you can begin to forgive externally. In the without as well. Do you understand? SB: Yes, well, I do. I do, and I still am very much stuck in not seeing the way through the degree to which I dislike some people, to put it bluntly. I feel really dug-in and I’m lost for the way through. These people also can tend to fall into areas where fear comes in. Like if I apologize to this person, oh, my gosh, what will happen afterward? Umm, so I am really stuck. There’s no doubt about it. AAM: Now, this is a security issue. And it is tinged with ego. And it also a feeling, or a belief system, that you have to like everybody. Forgiveness is not about liking everybody. It is about being the love. Now, let us go back. Do you think that when we or the Mother observe some heinous behavior that she likes it? No. That she likes the person acting that way? No. But the love for the divine expression is always there. So, it is not really about…it is almost, might I suggest today, insignificant whether you like or dislike an individual or a group of people. That is you, that is your personality. And when I say you, I mean all of you who are listening this night. That is your personal preferences based on your life experience, your many life experiences, your culture, your acclimatization to society or to institution. It is simply personal choice. Love overrides that. Let me repeat; Forgiveness is not permission. So, when you forgive yourself or, let us be very particular, when you are forgiving someone you dislike, you are not saying, “Let’s have dinner together”. You are not saying, “I have a spare room in my house, come and live with me”. You are not saying, “Be my best friend”. The gift of forgiveness is to yourself. Because carrying around a burden of what you feel is injury, because that is really what it is about, is injury to your sacred self. So, that is why I suggest to you, I tell you, the forgiveness begins with yourself. And then you can move out to the outer realm as it were. But it has nothing to do with liking or disliking. And I am not suggesting to you (this is a good topic), that forgiveness eradicates boundaries. As Yeshua has often said, and I will repeat, “Turn the other cheek,” which is forgiveness, does not mean that you will allow that individual, or that group, or that energy to beat you up. That is not acceptable. And that is why we say, “Forgiveness is never permission”; it is simply lightening your load, your burden. So, when you dig deeper, beloved, when you say, “I really am having trouble forgiving this or that person, and what will happen if I do extend an apology?” And the apology does not always need to be in person, or even spoken. But what will happen? I ask of you. All of you. What are you afraid of? It comes back to where we have started this conversation. And it is that those that are reluctant and recalcitrant are in fear. Now I have this new mechanism that I would like to suggest to each and every one of you who may be caught in this tricky recalcitrant position. And I will share it with you. Ask for help. Yes, my friends. If you feel stuck, this is not about you always demonstrating Herculean strength, determination, fortitude. This is not about flexing your divine muscles. Ask for help. We are Legion. When you say to us, when you say to The Mother, when you say to Gabrielle, or Raphael, or Uriel, “I am stuck. It is too much. I am giving this to you. Help me,” it will be over in an instant. If it takes a little time, it is because there is an understanding, not lesson, understanding a comprehension inside that situation that you need deeper insight into. But when you ask for help, my beloveds, it is a guarantee, we’re there. SB: To bring the conversation, Lord, in the last five minutes that we have back to peace. Is it correct in dealing with peace within, which would create peace without. Is it correct to say if we eliminate all the issues, upsets, people we haven’t forgiven (not eliminate them of course), but our lack of forgiveness and all the other barriers and blocks. If we cleanse ourselves of those, dissolve them through awareness or whatever our practice is that we’re then left in peace. AAM: As a synopsis, yes. That is correct. Because what happens is as you are eliminating, as you are letting go, as you are letting go of these burdens that you have carried… Think of it in this way, what is filling you is the love and the peace. Because now you are choosing and filling yourself with this deep sense of being in the calm, in the fullness, the balance, the beauty of who you are. When you forgive and you let go, then what happens is your divinity is blossoming more and more and more. And that is also being transmitted all over your planet. You know, there have been many experiences upon the planet. It is not called cowardice when an individual will be beat up or bullied. But when there is nothing for the bully to beat up on, then that energy disappears. So, as you forgive, and as you set your boundaries, what you are doing is you are giving either your recalcitrant self or the recalcitrant group nothing to attack. So, you are anchoring deeper and deeper into the peace. And in some ways that energy of recalcitrance, of hatred, of greed, of control, they can’t find you. And that is the issue. As you shift into new beginnings, Nova Earth, that energy can’t find you. It doesn’t exist. So, you are absolutely correct. SB: Hmm. Wow. Well, you sure have given us a lot. Not only to think about but to act upon. So, thank you very much for that. AAM: Beloved, you are welcome. I give you peace. SB: Thank you. And that is most welcome. Is there anything you want to say in conclusion Lord? AAM: I want to thank you. I want to thank all of you. Often you express your gratitude and your thanks to us. But we do not think, or feel, you do not always hear how deeply grateful we all are to you for your persistence, for your fortitude, for your desire for peace. So, take this gift, my friends, and ask for help when you need it. We are with you. Go with my peace. Farewell.